The ACL, also known as the "anterior cruciate ligament," is one of the most important stabilizing structures in the knee. 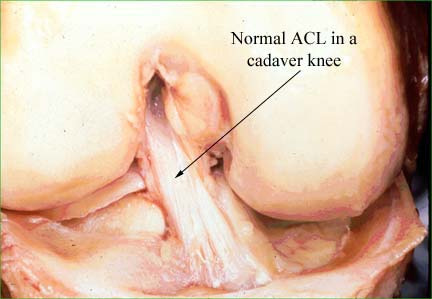 The ACL has two main functions. The first is to prevent the tibia (shin bone) from translating too far anterior, or in front of, the femur (thigh bone). Secondly, the ACL helps stabilize the knee from a rotational perspective as well. When torn, patients often have feelings of instability of the knee, with either buckling episodes, feeling of unsteadiness, or pain. In normal, every-day activities, the ACL is most important during cutting, twisting, or pivoting type activities. While it is not as important when doing activities in a straight line (such as running or even walking), some people with injury to the ACL may still experience instability. There are two main ways in which the ACL can get injured. Most commonly, the ACL gets torn during a "non-contact" injury. These are instances when there is a sudden twist or pivoting moment with the knee, leading to an instability event. The stress on the knee can cause the ACL to rupture. A second common mechanism of injury is through direct contact, such as in football when a player gets tackled and hit in the knees from the side. The knee will buckle in that moment and cause the ACL to tear. Patients with an ACL injury may also have simultaneous injury to other ligaments and structures of the knee. There may commonly be a sprain to either the MCL (medial collateral ligament) or LCL (lateral collateral ligament). It is also common to have an injury to the meniscus of the knee (either the medial meniscus or lateral meniscus). These structures act as shock absorbers in the knee. In patients who experience an ACL tear, there will often be pain, swelling, and stiffness right after the injury. The initial x-rays (usually taken at an emergency room or urgent care) after the injury are often normal. The pain and swelling may take several days or even weeks to subside. While the knee is swollen, it is often difficult to fully move the knee in flexion (bending) and extension (straightening) of the knee. The main goal in treatment of ACL injuries is to allow patients to recover to their pre-injury level of sport or work. Most patients, and in particular those who participate in activities (sport, recreation, or work) that involve cutting, twisting, and pivoting motions of the knee, do require surgical treatment in order to restore stability of the knee. Some patients, such as those who are not active or those who only perform activities that are "in line" (such as running or walking in a straight direction), may not actually need to get treatment for their injury. However, in most patients who are active, ACL reconstruction allows for a safe and effective way to obtain stability of the knee. The first objective after getting diagnosed with an ACL injury - whether or not you will undergo surgery - is to get the knee recovered from the initial injury. This entails getting the swelling down (using ice, anti-inflammatory medications, and rest), regaining full range of motion of the knee, and regaining strength in the knee (especially in the quads). Because of the initial swelling, the knee may be stiff. Usually, patients will start with a formal physical therapy program with a home exercise program that focuses on range of motion and strengthening exercises. This is important because the patient will have better outcomes after surgery if the knee is flexible and strong going into surgery. Through physical therapy, the patient will also work on improving his/her walking and gait so that they are not dependent on crutches or braces. This is the type of graft that Dr. Makhni most often uses with young, active patients. This graft consists of a small piece of bone from the bottom of the knee cap, as well as a small strip of patella tendon, and then a small piece of bone from the shin bone (tibia) where the tendon attaches. 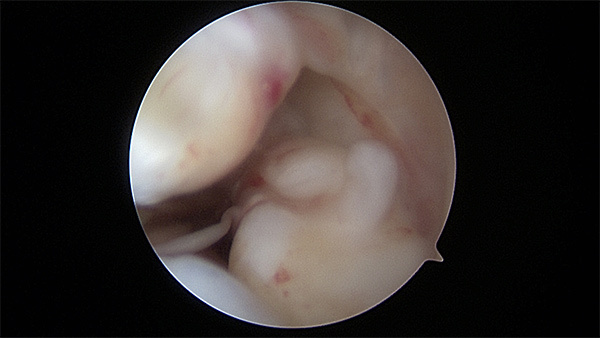 This graft is then placed in the knee in the same orientation as the original ACL structure, thereby anatomically providing stability to the knee. Dr. Makhni uses this graft for young athletes that are involved in collision or contact sports, such as football players, soccer players, and basketball players. The graft is secured inside the knee using screws that do not need to be removed from the body. 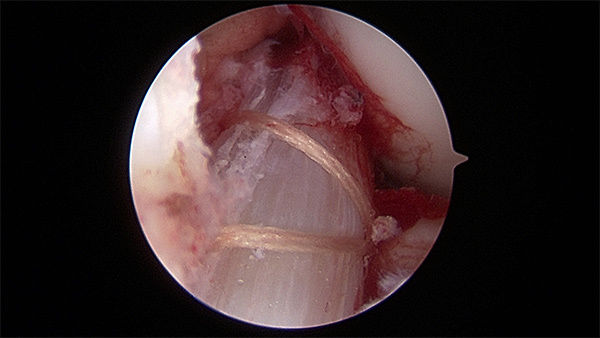 The second type of graft that Dr. Makhni uses is a hamstring autograft. 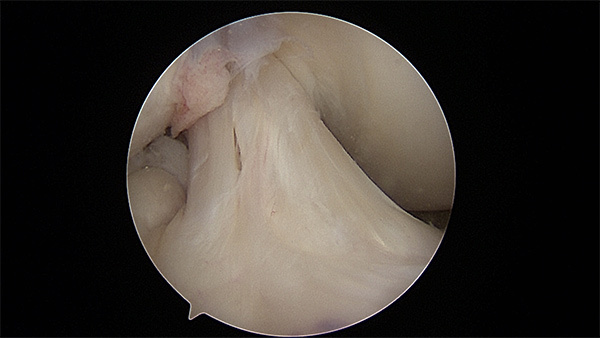 In this graft, Dr. Makhni harvests the end of the hamstring tendons (without the muscle). These ends then scar back down inside the body, thereby minimizing any loss of strength that may occur. The tendon is again placed in drill tunnels in the same orientation as the original ACL and secured with both screws and tiny buttons that do not have to be removed in the future. 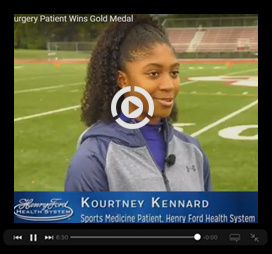 This graft option is an excellent choice for patients who are recreational athletes as well as young athletes. 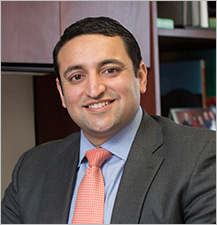 The third main type of graft that Dr. Makhni uses is a bone patella tendon bone allograft. This is from a cadaver donor. The advantage of using this graft is that the initial recovery from surgery is much easier than when having your own tissue used as a graft. This is due to the decreased amount of surgery that occurs, as no graft harvest is needed. This graft is an excellent option for patients who are recreational athletes.